Businesses run on systems or processes. Those with good systems seem to be the most successful (along with great people and great merchandise). When there are bottlenecks in the system things get bogged down. That’s when bad things happen. In blogging we’ve run into a few bottlenecks before. We try to always learn and improve our systems knowing that more efficiency leads to a better product for clients, better communication and ultimately more profit for us (and our clients). The basic system for our business is the frequency of quality posts. The more we deliver and publish the more our clients benefit and the more we benefit. It’s an important process. But there have been a few bottlenecks along the way. We’ll look at a few of them. Hopefully going over these will help you streamline your business blogging process to you can cut costs and increase profits. In my early days of blogging I would sit down every night after work and try to come up with a title. My goal back then was to write something every day so the pressure was always on to find a good idea. So it took some time to find a title each night and after finding one I still had to do all the research, writing and formatting. That’s a lot of work for just a night. Today, the team at GBW has the process down much better. We work on the titles and ideas ahead of time. We create an editorial calendar for every client and project. Some clients want us to provide all the titles. Others want to provide some. Others want to provide all titles. What we do in every instance is create a calendar and put in titles out at least a couple weeks. We also include notes or outlines. So all the brainstorming is done ahead of time. This way when the writers go to write their posts they already have the title and notes. They just have to worry about the research and writing. It seems to cut down on time and make the process more efficient. It also allows us to have better turnaround times for clients, which can be very important. The next step in the blogging process is the research. This is actually a part most people seem to forget when they consider starting a blog. It probably takes the most time of anything to research and find examples for a post. Sometimes you can pull everything from memory, but most of the time you have to go out on the Web and find some sources and examples. With all the researching going on I’ve found that I’ve become pretty efficient with Google searches. You have to be a good searcher to be a good blogger. It will save you an incredible amount of time if you can find what you’re looking for right away. Sometimes if we have examples of businesses or websites or whatever we’ll create a collection. This way we can do some work ahead of time and save time while we’re writing. It’s always good to have a cache of examples on hand in case you need something to add into a post especially when you’re on a time crunch. Finding images and photos is a big part of blogging. Whether it’s screenshots, Creative Commons images or stock photography it can be really difficult to find the right images for a post. It can take quite a bit of time and time is money in the business world as you know. Just like with examples we’ll sometimes put together a list of approved images for certain blogs. This way when we’re under pressure to get a post done we’ll already have images ready to use and we can finish up the post and get it scheduled. Every writer at GBW goes through an editing process with each post. New writers on the team have all their posts looked over by others on the team before they can start delivering posts directly to clients. It’s a trust that is built over time. You have to trust people once they prove they can accomplish a task. This is one way the editing process can become effective. Obviously going back and making a bunch of edits after the fact bottles up the entire process. It’s our goal with every client to learn what is needed and to improve over time to the editing process is cut back. We work with clients that like to edit all posts. This cuts back on time to get a post from being written to being published, but as long as that is part of the expectation the schedule works. If editing is a necessary process for your business blog make sure the editors schedule time to review each post. We find that if the editors don’t schedule the time they aren’t able to keep up and the publishing falls behind schedule. Finally we have the formatting and publishing. Experienced bloggers can zip through this process. It involves organizing the post so it is optimized for the reader so it’s easy to read. It also means optimizing the post for SEO with the proper tags and descriptions. The text needs to be formatted and so do the images. It’s all part of the process and it becomes more efficient as you gain more experience. To publish posts we always schedule them at least a few days and usually about a week ahead of time. This gives us time to make adjustments if things come up. There are always times when things will come up and you have to act fast. 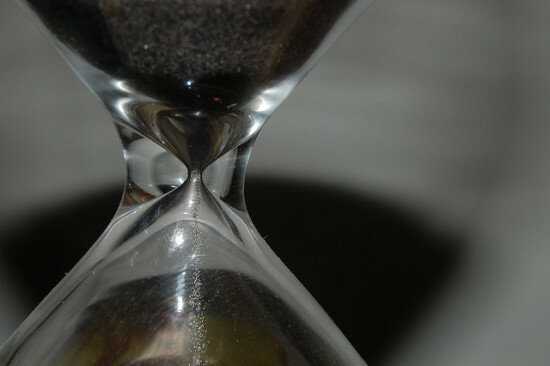 By having time built in with each post we can be flexible to change, which is great for us and great for our clients. Hopefully understanding the entire blogging process along with all the potential bottlenecks will help you make your business blogging process more efficient. These are things we’ve run into in the past. We’ve learned the hard lessons and have wasted a lot of time, but it’s given us the experience to make the systems and processes better.